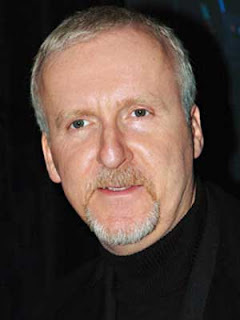 Patna, Dec 14 (IANS) Hollywood filmmaker James Cameron was all ears when Anand Kumar, who founded Bihar's Super 30 free coaching centre for students, narrated the real life stories of hope that his institute has generated year after year. "Cameron told me it was amazing to listen to my real life stories of hope. He was so impressed that he hinted at using such stories with people across the world," Kumar, who shared the platform with Cameron during the Innovation and Knowledge Conference in Lavasa, Maharashtra, told IANS. Kumar's Super 30 centre has helped many poor students enter the prestigious Indian Institutes of Technology (IITs). He said Cameron, the acclaimed Canadian filmmaker of "Titanic", "Terminator", "Aliens" and "Avataar", appreciated his efforts and promised to visit Patna. The conference was held at Hill City of Lavasa Friday in association with Technology, Entertainment, Design (TED) to promote innovation in diverse fields. Kumar said it was a matter of great pride that a teacher like him was given an opportunity to speak before such distinguished personalities. "It was an honour for my state also where I grew up and started my institute," he said. He said he narrated some untold stories of young and talented underprivileged students from Bihar and their journey to the IITs. It drew tremendous appreciation from the audience, Kumar added. "They clapped when I narrated my journey of the boy next door in the backwaters of Bihar, who struggled to carry on his studies due to extreme poverty, to a harbinger of hope for the poor students. "It has ushered in a silent social revolution, which has transformed many a family. But it is just a small effort," he said, adding his dream was to set up a school for the poorest of the poor. In the last three years, all 30 students of Super 30 have made it to the Joint Entrance Examination (JEE) conducted by the IITs. Since 2003, 212 students of the institute have made it to the IITs. Kumar, who himself missed a chance to study at Cambridge University because he didn't have enough money, gives full scholarships to every annual batch of 30 students. They have to pass a competitive test to get into Super 30 and then commit themselves to a year of 16-hour study each day. Kumar, who started the Ramanujam School of Mathematics in 1992, founded the Super 30 in 2002.